Metropolitan Industries has reached another historic business milestone within the month of September. The prominent water management technology solutions company closed the sale on acquiring Emecole, Inc. The sale shows a positive growth for the future of both companies. The acquisition transitions will follow in the months to come, according to Metropolitan Industries, Inc. President John Kochan, Jr. 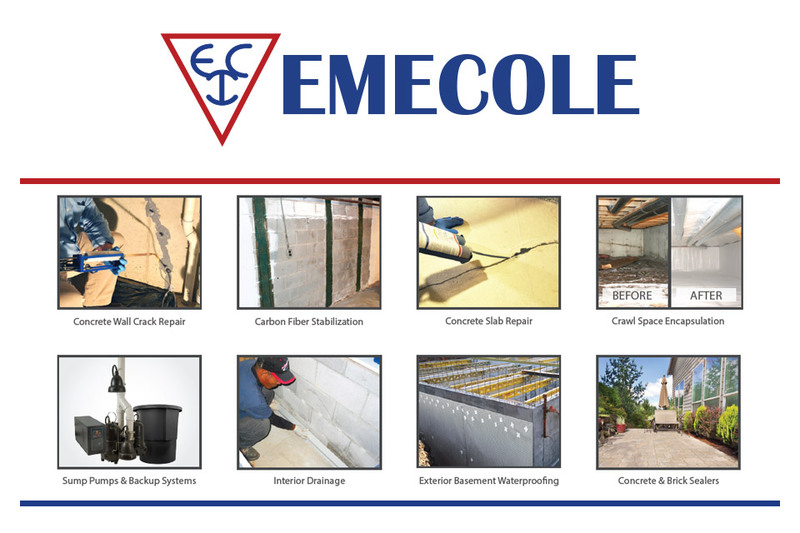 Founded and based in Romeoville, IL, Emecole, Inc. manufactures and distributes concrete repair chemicals and waterproofing solutions. For nearly 30 years, Emecole has been the industry leader in concrete repair chemicals and waterproofing solutions. Emecole was founded by current president Louis Cole. Cole always carried the drive to reduce the labor and costs associated with leaking cracks from basement foundations. In his career, Cole has been awarded 10 patents from creating his state-of-the-art low-pressure injection system that has become the leading industry standard for approaching concrete crack repairs. The purchase allows Metropolitan Industries to cross-promote between the two business by allowing each respected company’s products to be sold in the territories covered by the other company. Emecole’s operations will remain in their existing facility presently. Emecole is a manufacturer and supplier of basement waterproofing products. To view our complete line of products, for contractor pricing or to find a contractor in your area, please call our Emecole office at 800-844-2713 or visit us at Emecole.com.